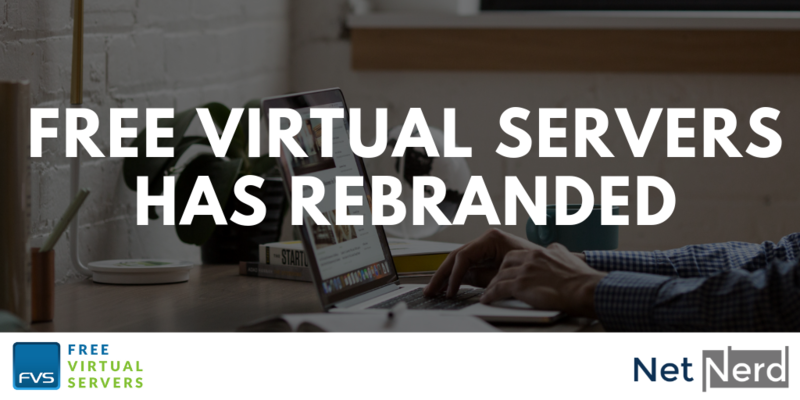 You may have seen on our social media channels and emails that in November, we rebranded our company Free Virtual Serves to a new name, logo and website – NetNerd. Many of you may be wondering why we decided to rebrand and today we’re going to discuss these and answer some of the frequently asked questions we’ve had since the rebrand. Free Virtual Servers as a name worked as we could quickly and easily describe what we did. However, it’s not very memorable! Also, although we offered the free hosting package we offered paid packages once you surpassed the free 100MB of webspace. We felt that the name, Free Virtual Servers, didn’t accurately describe all the other great things that we as a company were doing any longer. This is one of the big reasons why we decided to rebrand to NetNerd, so we could shout loader about our low cost, high-quality paid web hosting services and keep them separate to Free Virtual Servers under a new, memorable company name. We’ve also made the move from shared hosting to cloud web hosting. Cloud-based web hosting means that your website information and data is stored virtually, in cloud-based servers. Cloud-based servers are compiled of lots of different servers, meaning they are lightning-fast and much more reliable. If one ever goes down, it is quickly moved over to another of the servers – meaning no website downtime! We also want to branch out our services into the corporate market for businesses. We’re all nerds about something – and we’re nerds about the net! We felt the new name is a fun way to draw on the stereotypes surrounding web hosting and the net whilst reflecting the friendly, approachable company that we are. From the smallest blog to the largest e-commerce website, we want to make web hosting cheap, fast and reliable for everyone. 4. I’m a Free Virtual Servers customer, who will my invoices be from? All invoices will now come from Easy Internet Solutions T/A NetNerd automatically. Please don’t be alarmed by this. Both NetNerd and Free Virtual Servers are Easy Internet Solutions brands so they will always be billed by Easy Internet Solutions. If you have any questions about the rebrand or the service, as always our friendly UK-based customer service team would be very pleased to hear from you. We’re offering the same great service, just under a different name. Visit NetNerd today for all your web hosting and business needs.